Joe Davis is a research affiliate in the Department of Biology at MIT, and a scientist/artist at George Church Laboratory at Harvard Medical School. Kismet is a robot head made in the late 1990s at Massachusetts Institute of Technology by Dr. Cynthia Breazeal as an experiment in affective computing; a machine that can recognize and simulate emotions. Dr. Sara Buhrlage is an Assistant Professor in Dana-Farber’s Cancer Biology Department and Harvard Medical School’s Biological Chemistry and Molecular Pharmacology Department. Marc Abrahams founder of the Ig Noble Prize. The Ig Nobel Prizes honor achievements that first make people laugh, and then make them think. Donald Ingber, founding director of the Wyss Institute for Biologically Inspired Engineering. Cynthia Breazeal is the director of the Personal Robots Group at MIT. 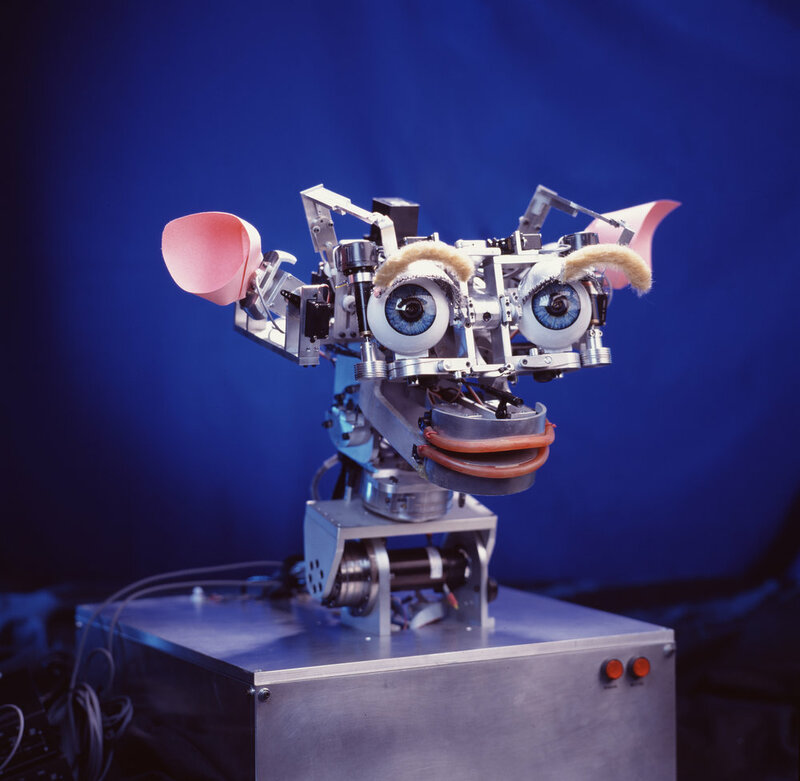 Kismet is a robot head made in the late 1990s at Massachusetts Institute of Technology by Dr. Cynthia Breazeal as an experiment in affective computing; a machine that can recognize and simulate emotions.